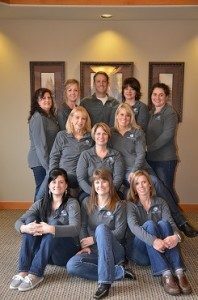 Dr. Ryan R Love is a premier dental practice located in the Spokane Valley. The doctor and his experienced staff offer comprehensive dental services in a warm and trusting environment. We are a premier practice of choice for families seeking the highest level of preventive, restorative, and esthetic dental care. We listen, seek to understand, and then educate in comprehensive care of the whole person through compassion and integrity. We are a beacon of light to others by walking beside them in life; giving of our hearts and then of our knowledge. Our commitment is to set the stand of care in our community while building lasting relationships. We guide our patients in attaining optimum oral health by using advanced technologies in a kind and gentle manner. Our team is made up of experienced professionals who invest in our practice, our level of service, and our patients with dedication. Our professional hope is to be the highest quality dental health care team that provides our patients with excellence in both the dentistry we provide and in our relationships. We are committed to providing an atmosphere that is team-oriented and patient centered, with compassion and empathy. We hold true to the balance of each of our own individual lives: faith, family, love, play, and work. Our practice operates with state of the art tools to care for our patients in all aspects of their healthcare. Dr. Ryan R Love frequently attends Continue Education courses to ensure our office provides leading edge technology for our patients. Dr. Ryan R. Love has been providing quality dental care in the Spokane area for over 15 years. The doctor is originally from Minnesota, where he graduated from the University Of Minnesota School Of Dentistry in 1998. 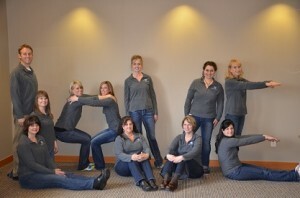 Dr. Love is a member of the several professional organizations and study groups, such as the Spokane District Dental Society, American Dental Association and Washington State Dental Association, among others. The doctor was also recently voted one of Spokane’s Top Dentists by Digital Dental Magazine. For a dental office you trust and a dentist who cares, Dr. Ryan R. Love DDS can provide you and your family with all the necessary dental treatments to keep everyone’s teeth the healthiest. Call or walk-in to Dr. Ryan D. Love DDS today to schedule an appointment. Our practice is built upon the foundation of providing value-driven, individualized dental care for every patient that walks into our office. Dr. Ryan R. Love, DDS and his experienced team are interested in the specific needs and concerns of individual patients and their families. We take care a step further, and offer many complementary services as part of our comprehensive patient care. A dentist that respects your concerns. Each person’s smile concerns are different than others. Dr. Ryan R. Love understands this, and every patient plays a key role in his or her own preventive and therapeutic dental care plan. A personal dental plan isn’t something that is one size fits most, it is a plan that is formulated side-by-side with Dr. Love, and that is tailored to the needs of his patients. The technology that is utilized in our practice allows us to monitor oral health needs and transformations closer than most dental offices are able to. Proactive care helps our patients keep their teeth healthier and longer than other approaches to dental treatment may. How healthy do you want your smile to be?